02 | October | 2014 | Coyote Moon, Inc. Your Mac is probably generally trouble-free, working day after day without complaint. Many of us are lucky enough to go for years without running into any problems that keep our Macs from starting up. But when and if your Mac refuses to finish booting, it can be a disaster, especially if it happens when you’re working against a deadline. We’ve gathered 10 of the best tips for getting your Mac working again. Some of the tips address specific types of problems; some are more general in nature. 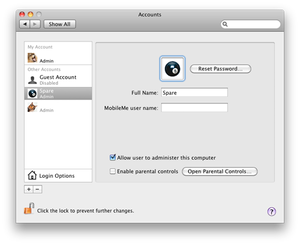 And some tips, such as creating a spare user account, are designed to help you prepare for problems in advance, rather than actually diagnose them. Speaking of being prepared, you should always have a current backup of all of your data. If you don’t have a current backup, head over to Mac Backup Software, Hardware, and Guides for Your Mac, select a backup method, and then put it into action.